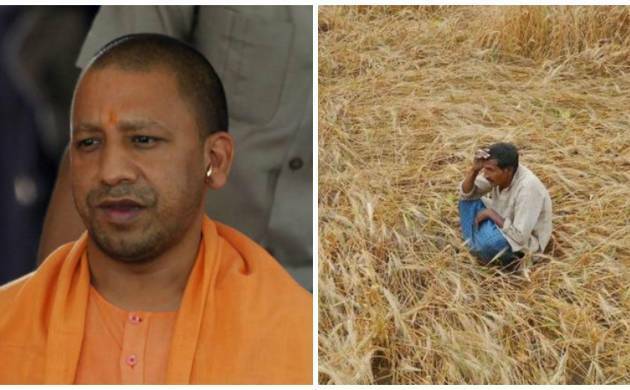 Key issues in the BJP’s poll manifesto, especially farm loan waiver, electricity in rural areas and an ordinance on slaughterhouses, are likely to be taken up during the Yogi Adityanath-led Uttar Pradesh government’s first cabinet meeting in Lucknow on Tuesday. State Agriculture Minister Surya Pratap Shahi said a proposal prepared for farm loan waiver will be presented before the cabinet at its first meeting. Though state Health Minister Siddharth Nath Singh maintained that the agenda of the meeting was yet to be finalised, sources said the government was likely to take a decision on waiving the loans of small and marginal farmers. Deputy Chief Minister Keshav Prasad Maurya said the promises made in the BJP’s manifesto for the just-concluded state Assembly polls will be on the agenda of the Adityanath government’s first cabinet meeting. “Decisions on a number of important issues will be taken at the cabinet meeting on April 4. The focus will be on honouring the promises made in the party’s manifesto,” he said. The BJP, in its Lok Kalyan Sankalp Patra (manifesto), had promised to waive the loans of small and marginal farmers. Prime Minister Narendra Modi too had said in his campaign speeches that writing off farm loans would be among the foremost tasks of the BJP government in Uttar Pradesh. Although there is no Constitutional compulsion of convening the first cabinet meeting within a certain period, traditionally the ruling party has held it within a week or so of forming the government. The Adityanath government was sworn-in on March 19 and its first cabinet meeting will be held tomorrow, over a fortnight after the swearing-in ceremony. Government sources said around 2.30 crore farmers in the state suffered losses due to natural calamities in the recent past and were unable to repay loans amounting to about Rs 62,000 crore. They also said that it could be difficult to handle the burden of loan waiver in a single financial year and that was one of the reasons to put the cabinet meeting on hold till a way was found to honour the prime minister’s poll promise that the BJP government would take a decision on farm loan waiver at its first cabinet meeting.